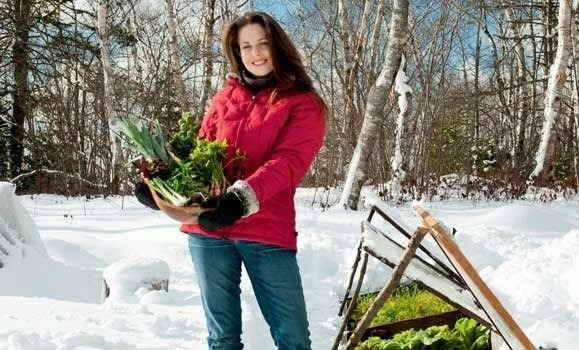 Niki Jabbour - The Year Round Veggie Gardener: Shhh.. Don't tell the deer! Shhh.. Don't tell the deer! Please don't tell the deer that chickpeas are legumes! Those darn darn deer have been in the garden again. A few of the tomatoes have been topped and the pole beans decimated. ARGH! So frustrating.. Of course, it's my own fault for continuing to use deer netting instead of finally investing in an actual electric deer fence. But, I was busy this spring and hoped that this year would be different. NOT! 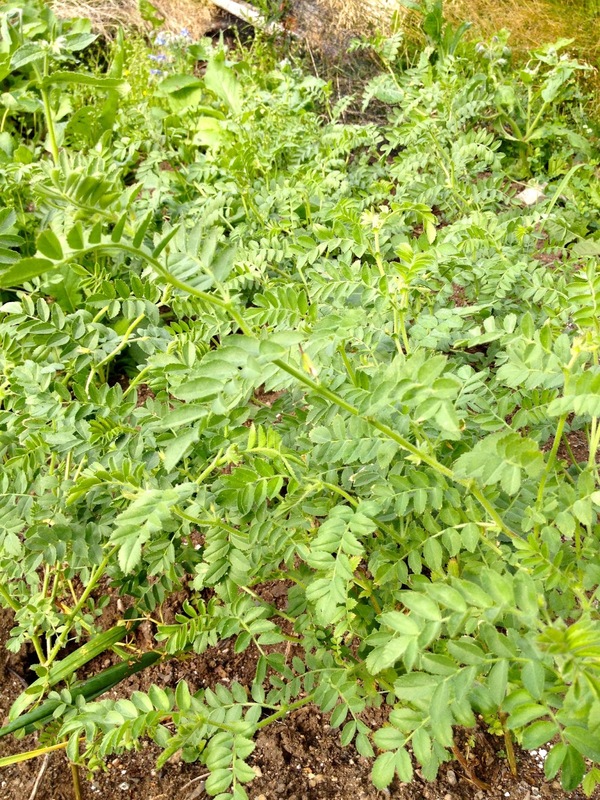 Happily, the chickpeas - which remarkably, are outside of the (pathetic excuse for a) deer fence - are thriving.. 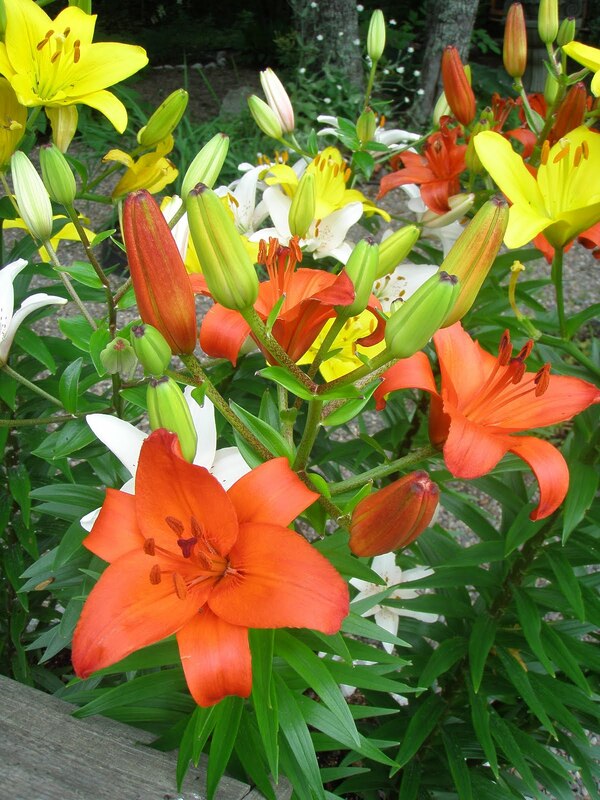 They have loved this heat and dry weather and the plants are super bushy and about 15 inches tall. They're a black variety from Afghanistan that I bought from Bakers Creek. So excited about this as homemade hummus is one of my favourite treats..
A delightful tangle of chickpeas! 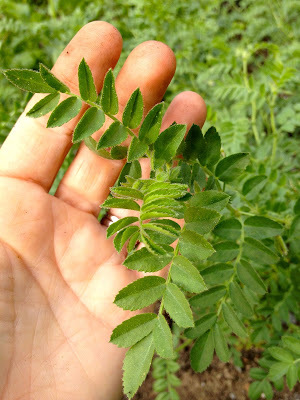 Any sign of chick peas yet? One of our allotment gardeners is growing them and she has some pods but it looks like just 2-3 peas per pod. It's fun to grow something different. Have you ever successfully grown watermelon? I'm in Stellarton, NS and haven't had much luck with it. Hey Amy.. YES! And cantaloupe too.. but not every year as they require space and advanced planning. I use mini hoop tunnels (that are featured in my book and on this blog if you're not familiar with them) to pre-warm the soil, beginning in mid-May. They need warm soil.. and I also have grown my own seedlings, but you can buy the ones at your local garden center too - they are appropriate for our region. 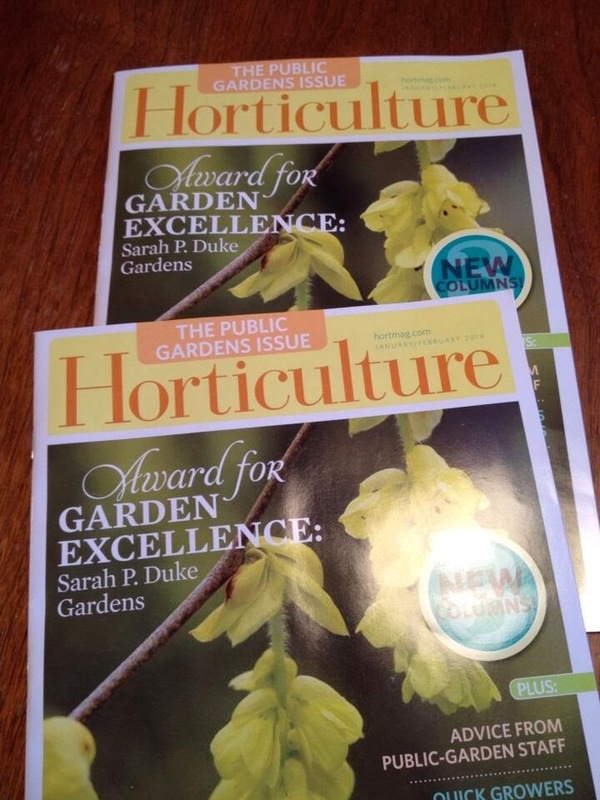 If you grow your own, make sure you get short-season varieties, not the types that grow in the southern US! :) Finally, once your plants are ready for the garden, leave those mini tunnels up, but lift the ends to allow air circulation. The top bit of plastic will protect them from the typical crappy wet, cool weather we have in June. Water - as the rain will be blocked and feed.. When the weather is more stable in mid June, you can remove the plastic tunnel. Voila, that is it! They just need a bit more coddling early on.. but very very growable!! Keep me posted if you do try this next spring.. it's fun! You can also grow small melons vertically on trellises. 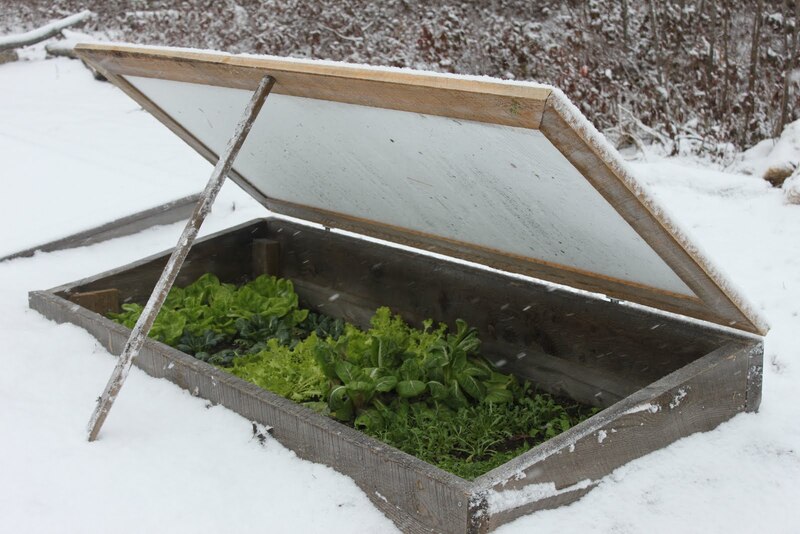 Use a cloche to protect the young plants and once they start to vine out, they can climb A-frame trellises or fencing. Fun!! Amazing post with amazing and useful content!! thanks for the useful stuff!! LOL, my hubby always tells me he can tell how much fun I've had in the garden by how much dirt I have on me. Looks like you had a grand time!